Set on the western shores of Lake Naivasha, Loldia House is built around a courtyard, its main archway framing a beautiful view of the dormant volcano, Mount Longonot. Wild animals roam free on the farm and in the evenings, hippo munch quietly by the waterside. Loldia House is only a two hour drive from Nairobi and within easy reach of Nairobi's International Airport. 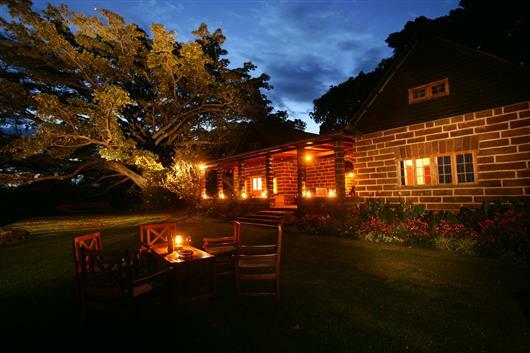 It is a perfect place from which to begin or end your holiday around Kenya and is conveniently located for day trips to the famous Lake Nakuru National Park. Loldia House offers a choice of accommodation either in the old family house or in cottages in the grounds. In the main house, four en suite double rooms are furnished in the original colonial style. Close by is an original guest cottage with a further two en suite rooms. 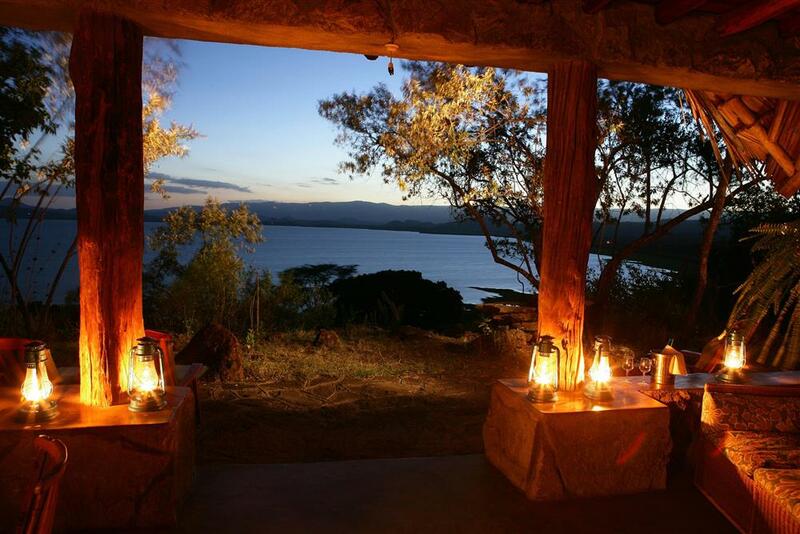 A newly-built cottage on the lakeshore, which is ideal for honeymooners, has two independent en suite double rooms with views across the lake to Mount Longonot. Up on the hill is the specially built Loldia Cottage, which has its own sitting room with open log fire and panoramic views across the lake, and three double rooms, making it ideal for families or groups of friends. 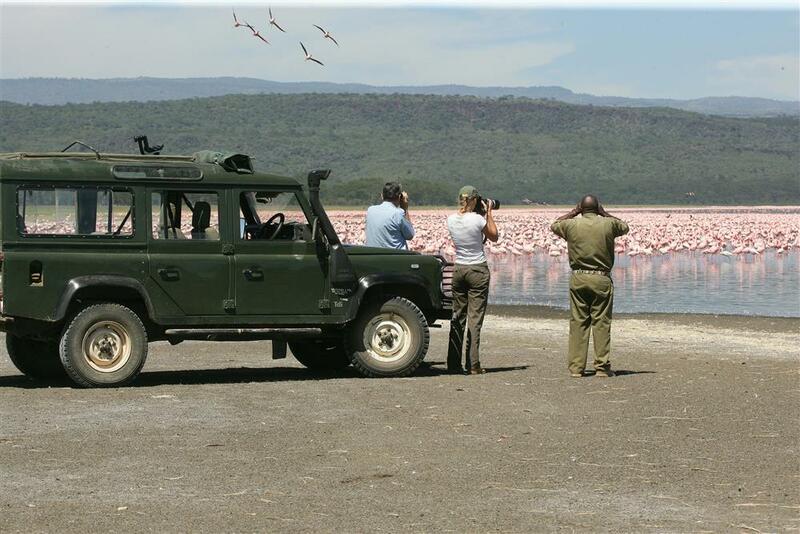 Activities include excursions with game drives and picnic breakfast or lunch to Lake Nakuru National Park, Hell's Gate National Park, Lake Elementaita and Lake Bogoria. There are game drives and game walks on the ranch and night game drives. Guests can also walk on the farm and to nearby mountains (Longonot, Eburu) with picnics or visit the nearby flower farms. 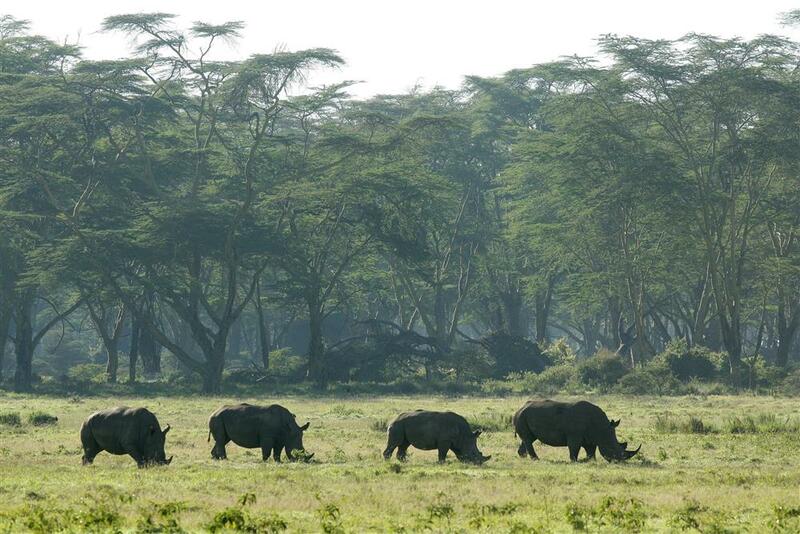 Morning and afternoon boat rides are available on Lake Naivasha for game watching and bird watching.